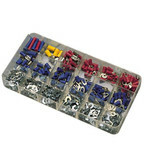 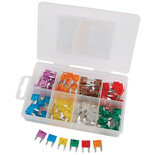 Assortment of mini automotive fuses in plastic storage case. 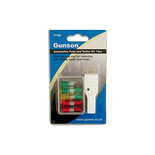 Dual purpose tool for removing and checking fuses. 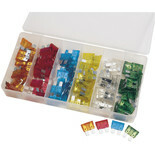 Supplied with an assortment of fuses for automotive use. 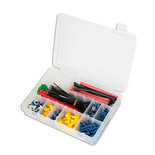 Perfect for your glove box.